Good Morning! Thank you for stopping by. I do appreciate your visit. The sketch is up at TMS and this one is by Debbie. You're going to be thrilled to learn that Pink and Main is sponsoring us, too! I know I am. My card features Need Coffee and Hello Sweet stamp sets. The card is white - but I couldn't get the picture to show it! But I'm happy with how it turned out in real life! I used the Need Coffee stamp set and colored it with various Copics. My mom was here with me when I made this so she asked if I'd make her have gray hair. I stamped the "sweet" from the Hello Sweet sentiment set and then embossed the panel with Swiss Dots. It was a really easy card and as soon as I took a picture my Mom put the card in her suitcase! We are all settled down now from the graduation. My Mom left early yesterday morning. Now it'll be quiet for a little while until I find a new place to move into. I hate moving - but it must be done! Send me your happy thoughts, please. We'll see you over at TMS - Michelle is offering a $15 store credit. The stamp sets I used were $8 each - so that store credit could get you two set for $1 plus shipping! Good Morning friends. Thank you so much for stopping. I do appreciate your visit. The sketch is up at Tuesday Morning Sketches and this one is inspired by Jessi. I love this one! Well, I love all our sketches, but this one was super fun to play with. 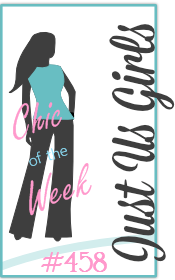 I am sponsoring this week and the prize will be reflective of my daughter's personality. She graduates this week! I have been up and down the emotional scale over all this. I'm happy for her and I'm crying at the same time. Anyway, what here's the card I created featuring tons of butterflies! My card was created to go with a gift I made for one of my daughter's friends. She is also graduating with Hollyanne. As these girls graduate, I am reminded of butterflies. The caterpillar years are their growing years. Their senior year they enter their chrysalis and at graduation they emerge and are ready to soar to new heights, tackle new adventures and follow new paths. I still have a lot to learn about painting, but I still love how this ombre butterfly wall art turned out. I'm ready to make more! I then cut a quote from Silhouette double-sided adhesive and gold foiled it. Thank you so much, again, for your visit. Please be sure to visit the DT's blogs and leave them their well deserved love. Good Morning! Thank you for stopping by. I appreciate your visit. The sketch is up at Tuesday Morning Sketches and I really love this one. It's basic, it has tons of potential for simple -- to very decorated. 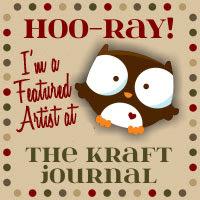 Our sponsor this week is Crafty Sentiments. This week my card features a print and image that I picked up on the Silhouette Online store. I believe it's by Stinkin' Cute. I didn't use the pnc option, I just printed it off and then cut it out myself. I then used a C3 Copic to outline the image. I ran out of graduation announcements and still needed two more, so I made these. The black base I cut the sentiment and used the negative space. Before I adhered, I embossed with my new Swirls embossing folder by Darice (on sale at JoAnn's for $2). I also used some ribbon that I picked up years ago at the Offray Ribbon Outlet (I miss living by that place) that is black with white polka dots. I colored the white dots with YR09. Then finished it off with sequins. Thank you again for stopping by. Please head on over to the TMS blog and play along. 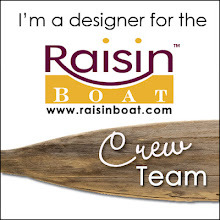 Be sure to visit my team members blogs and leave them a little love. Good Morning! Thank you so much for stopping by. The sketch is up at Tuesday Morning Sketches and it was designed by Patti, who incidentally is sponsoring this week, too. She's offering a lovely stamp set and embellish pack that you're sure to love! My card this week is a clean and simple card. I made these cards to thank Hollyanne's dance coaches for a wonderful 3 years. I love the technique that I learned from Jennifer McGuire on coloring glitter with Copics. Check these out! In real life these pointe shoes are sparkly and bright... I want a pair! Like I said, clean and simple. I used an old tool... I'm mean I've had this ruler for 20 years! It's a Creative Memories cutting ruler and I dusted it off because it was perfect for this. One card has gold sequins and the other is a line of orange Stickles. But I cut the pointe shoes from white card stock that I covered with a piece of Scor-Tape. Then rubbed the glitter in firmly. Then I colored the image with YR07 Copic marker. Please join us this week and be sure to visit the DT members. Have a great day! Hi there! Happy Tuesday. Thank you for stopping by. The sketch is up at Tuesday Morning Sketches and I think it's a lot of fun. Open to lots of embellishing or keeping it clean and simple. 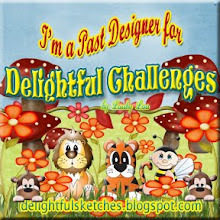 Our sponsor this week is Digital Delights by Louby Loo and I am featuring one of my favorite images, Hanging Birdhouses. So I am a huge fan of Jennifer McGuire and Julie Ebersole - I mean, who isn't? They are amazing designers and I learn a lot from them. I've been watching videos... well, I watch videos every night. I love them! They are my night ritual.... jammies, plump my pillows, grab my Kindle and log onto You Tube. Anyway, Jennifer McGuire has created a few videos for in-laid dies. I don't have a lot of dies - shapes mostly, to do such a technique, so I played around with my Silhouette in an attempt do do the same. When I perfect this method, I'll share how I did it. Or who knows, maybe there's a You Tube video I've not seen yet. Also, she die cuts sentiments from fun foam, so I got this stamp/die set from Hero Arts and used the die to cut the sentiment. I love the dimension! Well, so that's my card... I hope you like it. 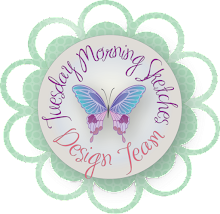 Be sure to stop by the TMS blog to play along and please visit my design team. They really deserve your love. Hi! Happy Sunday evening. I do wish the weekend wasn't nearly over. But then again, maybe tomorrow will be better day than today ended up being. But this is a drama free zone, only crafty fun stuff here. I used all American Crafts cardstock - scraps that were left over from other projects. Inked the edges and then blinged it out! I love how this turned out. It's so cheerful. I did turn this into a Mother's Day card - not the one I'm giving my Mom, but still a Mother's Day card.